Our Graziers Steakhouse offers a family friendly and informal dining experience which has become a favourite for locals and visitors alike. Enjoy either our intimate booth seating or table seating and catch up with family and friends. Our diners can choose from the quality steaks cooked on the char-grill or make a selection from our extensive range of dishes for those who want something a little different at affordable prices. Seniors meals are also available along with a children's menu. We have something for everyone. 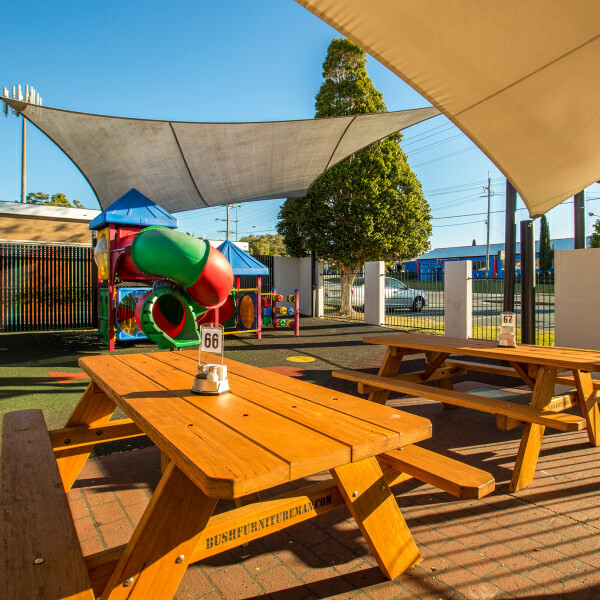 Our outside playground allows the children to have fun, whilst Mum and Dad dine al fresco, enjoy the sunshine and reconnect over a relaxing meal. If it's family friendly dining along with great value meals you are looking for, then look no further than the Albany Creek Tavern. Here at the Albany Creek Tavern we cater for families with our family friendly bistro offering great value meals for the kids. 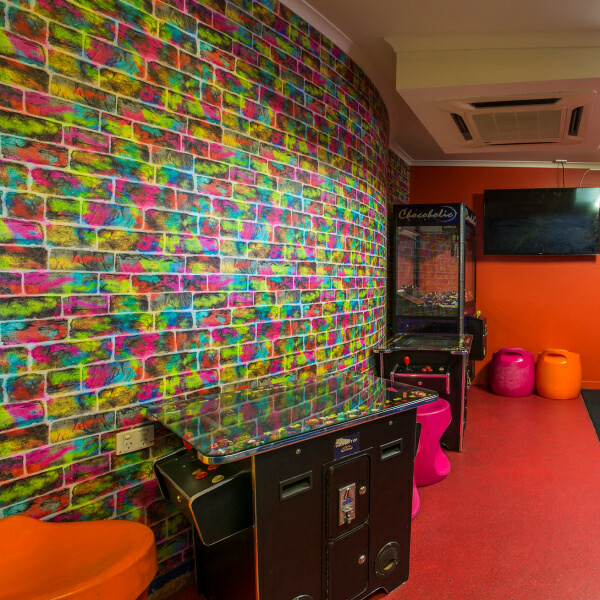 We know the kids get bored sitting for too long so our kids play areas, both indoor and outdoor, offers great fun for the kids while parents can enjoy a meal and watch the kids at the same time. We have great family fun with our family fun days and plenty of special offers for the kids. Plus we also host kids parties! Enjoy the family friendly atmosphere here at the Albany Creek Tavern. 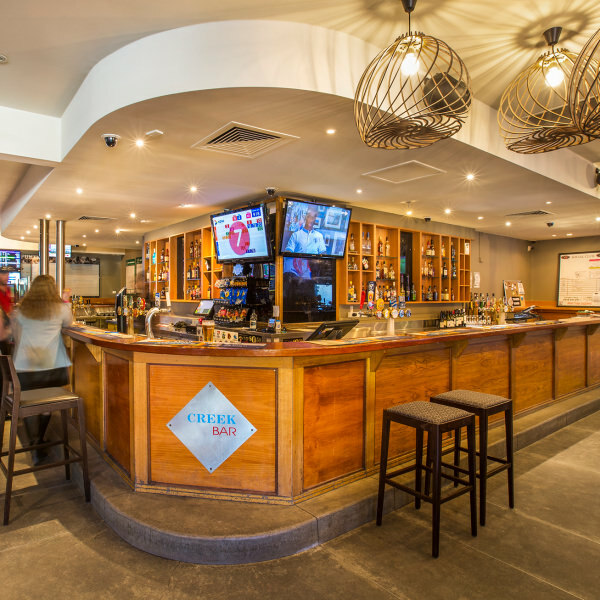 If you're looking for the perfect place to unwind after a long week or just catch up with your mates after work, look no further than the Albany Creek Tavern. We have a spacious public bar area where you can enjoy all your favourite sporting action along with an extensive bar area and pool tables. Relax with us and enjoy the friendly atmosphere of our Public bar area. Our Gaming room features 45 of the latest gaming machines, Keno terminal, and link jackpots including Lightning link. We have the latest Ticket in Ticket Out system operation allowing you to move quickly and easily between machines. Order from our all hours menu and enjoy our friendly hospitality. Join our members program to get all the latest updates and birthday offers.